1. I vectored this imagine HERE. After vectored everything, I painted every single part of the mokonas with brushes. 2. When I finished I added a light blue background with this huge brush on it. Also added a texture on it, HERE. 3. 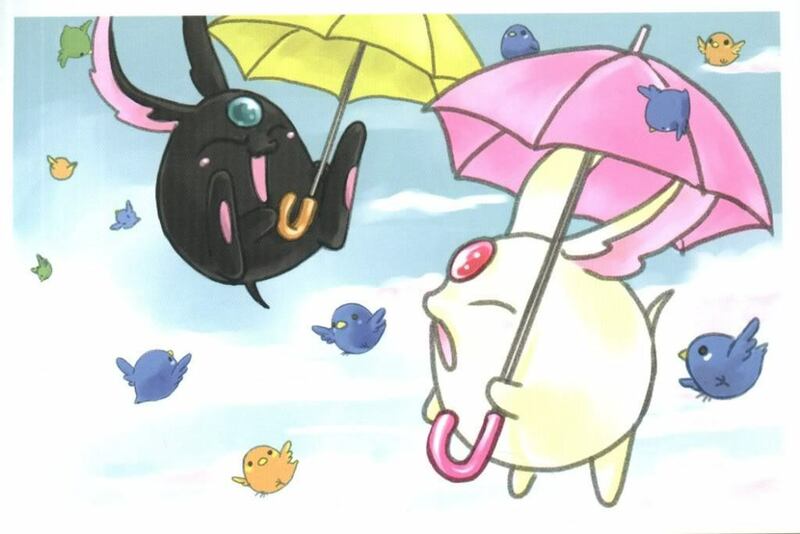 I added a texture on the black mokona too. 4. Wrote Mokona and put the credits and a bord around the whole wallpaper. 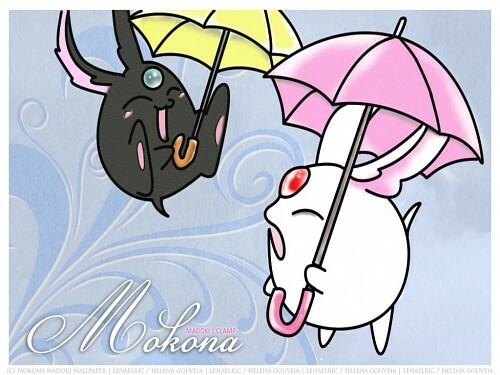 Both of them are named Mokona?